We've decided to expand the range of our kits and pay attention to the other half of humanity. 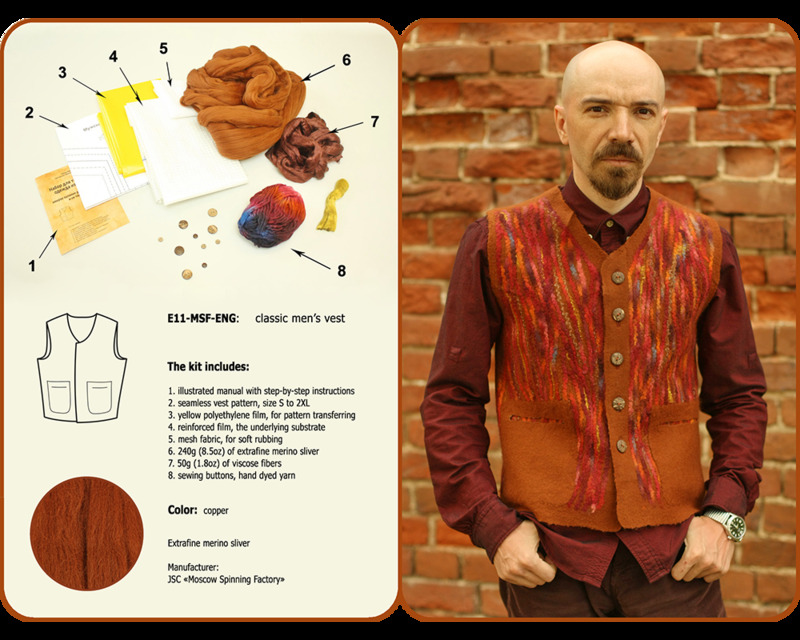 So, this kit will be dedicated to the classic men's vest with plate pockets. This is "all-in-one" kit that contains everything needed to help you make your first seamless vest, except some little things: a water scoop, a towel and soap. We've gathered all the materials: an extra fine Australian merino sliver, viscose fibers, hand dyed yarn and other accessories.